Central to the recent campaign against Carnatic musicians who have allegedly betrayed their religion (which their critics claim is the essence of their art) have been aggressive, sometimes abusive language berating the artists and threats issued to their wellbeing. Some of the artists so abused have panicked and apologised while at the same time pleading their innocence of any intent to participate in Christian proselytisation attempts, or any substitution of the lyrics of Tyagaraja. Some leading artists have condemned the social media attacks on the musicians launched by fringe groups. Natyacharya V.P. Dhananjayan, a strong upholder of tradition in our arts besides being a bold innovator for decades, states that our “art forms have been the essence of our culture and ethos practised by our ancestors...part of (the) Vedas and dharma, not a religious endeavour.” “So,” Dhananjayan continues, portraying the arts as “Hindu religious arts” cannot be accepted.” According to him, “religions are man-made” and “arts have been a tool to establish closeness to each and everyone around. We must see them in the light of this spirit of one human entity, eschew religious attributes to our performing art forms.” In a typically forthright response to the attacks, star vocalist T.M. Krishna has promised to sing a song on Allah or Jesus every month, and he has been at the receiving end of some choice abuse and dire threats from the lunatic fringe. 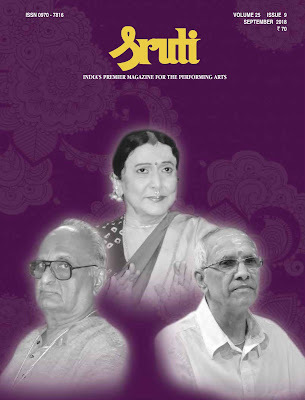 Sruti has for many years chosen to describe Carnatic music as art music rather than classical music. It has also stressed the distinction between concert music and devotional music. A sizable percentage of its audiences may see the very art as an expression of bhakti to Hindu gods and Sruti has always acknowledged their right to believe so, though not subscribing to such a view as a magazine. 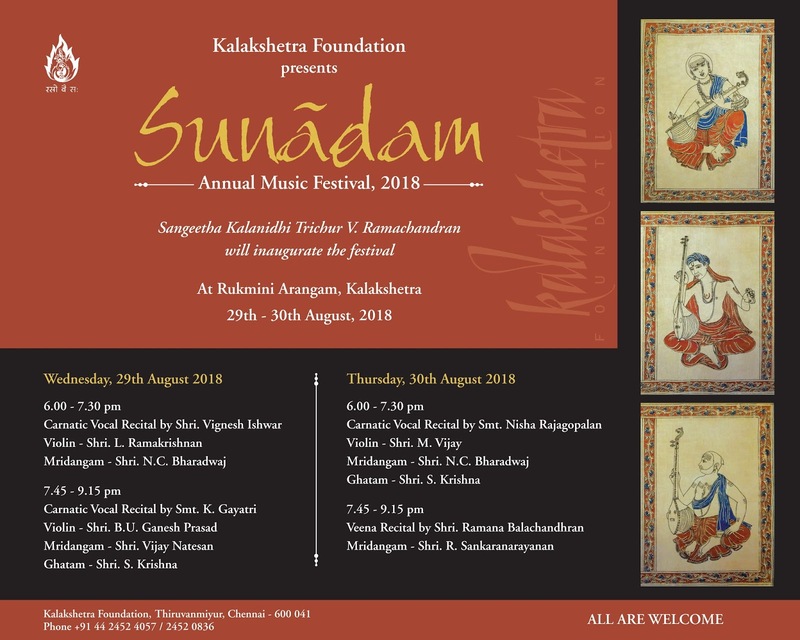 (Both Carnatic music and Hindustani music, especially the latter, have many wonderful practitioners from other faiths whose rendering of songs soaked in bhakti can be moving). We extend our support to artists in their attempts to practise their art without fear. Some of them may sometimes commit errors of judgement, may even be tempted into less than ethically upright actions for “commercial reasons”, but no one has the right to impinge on their freedom and try them in kangaroo courts. Indian culture does not need these self-appointed guardians to protect it. “So,” Dhananjayan continues, portraying the arts as “Hindu religious arts” cannot be accepted.” According to him, “religions are man-made” and “arts have been a tool to establish closeness to each and everyone around. We must see them in the light of this spirit of one human entity, eschew religious attributes to our performing art forms.” In a typically forthright response to the attacks, star vocalist T.M. Krishna has promised to sing a song on Allah or Jesus every month, and he has been at the receiving end of some choice abuse and dire threats from the lunatic fringe. This last month has been an interesting mix of ideas, thoughts, actions and emotions by Carnatic musicians, audiences and organisations. Some feeling threatened, some threatening, some giving up and many others pouring out either anguish or encomiums. Several clichés are freely being used – creative liberty, communalism, spirit of oneness, spewing hate, plagiarism, etc. All these have resulted in a muddled discourse from all sides and the final schema could evolve only with more discussion and debate. It should be welcomed that this dialogue is happening and is providing publicity (good and bad) for the art form and for the artistes. In the middle of all this is the person who goes to a music performance. If a person, in these busy times, spends couple of hours travelling to attend a 2-3 hour concert, there are certain expectations - that of coming back home relaxed, happier and satisfied. If these are not achieved, what is the use of such music and of spending so much time at a concert? One could possibly explore other avenues to achieve similar results. One dimension of the recent debate is whether songs on Jesus and Allah (unfortunately, others like Buddha, Mahaveera are left out) should form part of the Carnatic Music idiom. Every faith has some native sounds and the people practicing them are conditioned to listening to them, over several centuries. This is very much like symbols, structures, culture, etc. Compositions on Hindu Gods are in Carnatic Music idiom as these sounds are native to this faith. Hence, the audience you find in any Carnatic Music concert is largely ones who practice Hindu faith. Feeding these audiences with songs on other faiths is like thrusting other faiths on Hinduism. The question to then ask is towards what end is this experiment aimed at? Similarly, there are sounds that are native to Christianity and Islam. A deep sense of reverence for people of these faiths arises when only those native sounds are heard. By thrusting the native sounds of Hinduism on followers of different faiths, what is the intended purpose? Christians and Muslims may not feel the same reverence when songs on their Gods are rendered in immigrant sounds as opposed to their native sounds? The audiences may also feel threatened that there is an ulterior motive of thrusting Hinduism on them. There could be another experiment of using native sounds of Christianity and Islam and superimposing lyrics on Hindu Gods. The same set of apprehensions as listed above apply – will Hindus feel the same reverence with these immigrant sounds and will they not remain in a lurking suspicion of an attempt to impose other faiths on Hinduism. Freedom of expression, subject to reasonable restrictions, has to be protected for every artiste. Artistes being creative people will want to explore different dimensions to expand the acceptability of their art. Let the experiment be to promote social harmony in the true sense of the term by not mixing everything up but by respecting and honouring each for what it is. Within these confines, surely there is plenty to be done as music is universal and can provide peace, happiness and relaxation to everyone on this planet. Artistic freedom is good but artistic adventurism can be lead to a more hateful world, which goes exactly opposite to the purpose of practicing the art. Vilayat Khan’s was a personality shaped by the conviction that it was destined to leave its mark on the world. 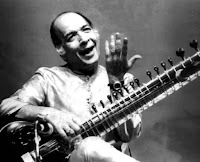 He would not have been happy with just being the greatest sitarist; he had to be amongst the all-time greats of Hindustani music. This set him on a path of passionate absorption of the tradition, unrelenting innovation and the pursuit of superhuman standards of perfection in the execution of his musical vision. The burning ambition that powered Vilayat Khan’s sense of destiny was, partially, a reaction to the humiliations and privations suffered early in life. He had a very comfortable early childhood as the elder son of Ustad Enayet Khan, court musician at Gauripur (now in Bangladesh). After he lost his father at the age of eleven, the most prosperous and eminent amongst his father’s disciples denied him the gharana’s training, and abandoned the family to virtual destitution. This experience re-activated— after five generations the Rajput genes of Thakur Srujan Singh—the founder of his lineage, and made Vilayat Khan a warrior determined to conquer the world and rule it. He left Calcutta in his early teens in search of training and a career, swearing not to return until he had become India’s foremost sitarist. Ahumble temple singer and teacher of religious hymns to children, he went on to become a celluloid hero, charismatic classical performer and university music professor. He not only set high standards of teaching but also carved a niche for himself in musical innovation and composition. Here is a tale of continuing re-invention by a man of poor resources who did not go beyond the pyol school in his village but eventually became an icon of the Tamil isai movement. He did well by himself too, securing the best of bargains in a status and wealth conscious society. M.M. Dandapani Desigar (1908-1973). Thirty-five years after his passing, his ringing voice and evocative Tamil song continue to inspire artists and activists in the cause of ethnic Tamil music in his birth centenary year. In a milieu where language and culture have become focal points of identity and politics, the resonant example of Dandapani Desigar is a continuing source of inspiration. Some mainstream musicians too recognise his musical worth and value his Tamil oeuvre. T.N. 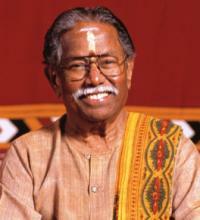 Rajarathnam Pillai was a nagaswara wizard, a trailblazer and a legend. Rajarathnam was born in August in 1898 and breathed his last in December 1956 at the relatively young age of 58. He was popularly referred to as TNR. For nearly half a century he strode the world of Carnatic music like a colossus. By arduous and diligent practice over the years, he gained incredible mastery over music and his chosen instrument. His rendition of kriti-s were flawless and the swaraprastara sparkling. 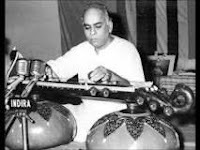 He was popularly associated with Todi raga – his name became synonymous with it because of his brilliant exposition and delineation of the raga. Even so, he also played, in equal degree of excellence, many other rakti raga-s. Who can forget his Simhendramadhyamam, Shanmukhapriya, Ramapriya, Vachaspati, Pantuvarali and Kalyani?
" Sanju took Odissi dance to its pinnacle of glory," observed her guru of a lifetime, Kelucharan Mohapatra, lamenting her death. "Her Moksha transcended the limits of aesthetics and became a spiritual experience. Now she has attained moksha." Moksha is perhaps the right word to describe her destination. For her dance was an offering to the Lord. 'l am doing pooja with my dance," she told an interviewer five years ago. That dance would become the medium for her moksha likely never crossed the minds of her orthodox brahmin parents when she was born, on 24 August 1944, in Berhampur, Orissa. But, whether they realised it or not, she was born to dance. Even as a little girl, she showed a natural aptitude for it and her mother, a trained singer, decided that she would encourage her to learn Odissi, which itself was struggling at that time to gain a distinct identity and acceptance as a classical dance-form. At the request of the mother, Kelucharan Mohapatra took Sanju, then five years young, under his wings and gave her intensive training. He recently recalled that even as Sanju "danced" for him when he first saw her at her parents' house, he realised she was something. 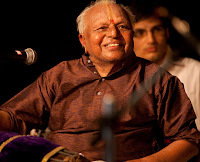 Vidwan B. Krishnamoorthy is a multifaceted artist – Carnatic vocalist, musicologist, researcher, and passionate teacher. He was born on 24 August 1932 at Padarakudi near Karaikudi, where he lived with his maternal grandfather for a while. He had three brothers, the eldest being the late Sangita Kalanidhi B.Rajam Iyer. Krishnamoorthy’s biological mother gave him in adoption to her childless elder sister Ananthalakshmi. So it was that little Krishnamoorthy grew up in his ‘Periamma’s’ house at Paganeri. Fond of music, he liked to listen to the songs of S.G. Kittappa, Subbiah Bhagavatar and others. The Sri Rama Navami Utsavam was a grand annual celebration at home. Attracted to the bhajana paddhati, the child started learning the songs when he was five years old from Atmanatha Iyer and Tirukoshtiyur Iyengar. He knew all the songs by heart – from the Todayamangalam to the final Deepa Pradakshinam. He can remember most of it even now. A person of firm principles and lofty ideals,he pursued his goal, his search for beauty, dedicatedly, diligently, scientificallyandwith passion. If he took the dance out of Manipur, he never did take Manipur out of the dance. He transformed what was— and still is in that State— a vehicle for religious expression and devotion to god, into an art-form that was eventually accepted as classical. He did not renounce the Manipuri idiom; he enriched it and made it into a connoisseur's delight, not only in India but abroad as well. Crossing many a hurdle, he trained himself to be a dancer, musician, composer and choreographer who gave Manipuri dance a new face that reflected the scholarsofthe idiom. His legacy includes, as well and most importantly, the disciples he trained and the disciples of his disciples. 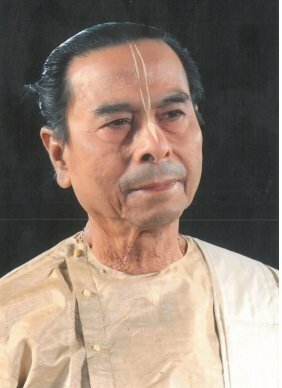 Whether he so intended it or not, he founded and shaped a gharana, the Bipin Singh gharana, of Manipuri dance. beauty of art and not just the ecstasy of devotion. In a land known for the dichotomy between scholar and artist, he brought the twain together by pursuing scholarship and art in tandem. The result: the music and dance of Manipur he presented to the world through his own enchanting prism of beauty early gained the stamp of authority, as well as authenticity. Here are links to two articles that appeared in The Hindu and Deccan Chronicle on the recent controversy on Carnatic musicians and their alleged involvement in plagiarising Tyagaraja's compositions and Christian missionary propaganda. 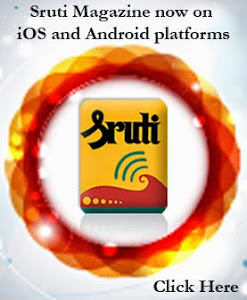 Sruti's views on the subject will appear here soon. Gopi Krishna was born into a family of kathak dancers. His maternal grandfather Pandit Sukhdev Maharaj was a teacher of Kathak and his aunt Sitara Devi was a Kathak dancer who has performed around the world. When he was 11 years old, Gopi Krishna began training under his grandfather. He also learned from Shambhu Maharaj. In addition to Kathak, Gopi Krishna learned Bharatanatyam from Mahalingam Pillai and Govind Raj Pillai. Receiving the title of "Nataraj" (King of Dancers) at the All Bengal Music Conference at the age of 15. 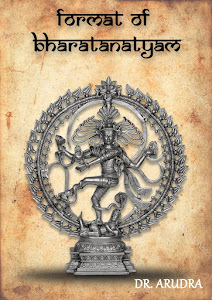 The name of Raghavan is a legend in the revival of studies into ancient Indian culture. When our country had lost its memories of the past, Dr. Raghavan brought back the original thoughts. Those of us who had no identity, because of our English education, began to look into the Indian soul through the writings of this man who is more than a Professor of Sanskrit, but perhaps a doyen of renewed consciousness. What has he not taught us: classical music, the most ancient dances and some of the wisdom of the forest books….” This is an excerpt from the felicitation written by famous writer Mulk Raj Anand . It truly sums up the man and his mission whose birth centenary was celebrated for a year starting August 2008. "It was a matter of pride for all South Indians that the government of Maharashtra had chosen to honour guru Rajee Narayan with the Maharashtra Rajya Samskrutik Puraskar for the field of dance for 1996-97. "Rajee Narayan established her institution Nritya Geethanjali in 1965, when she migrated to Mumbai. Branches of the institution have since been established in Australia, Canada and the US, headed by her disciples. In recognition of her knowledge and experience, she was appointed a member of the dance faculty of the Mumbai University, a position she has held for over 20 years. She has also been a paper-setter and examiner for the BFA and MFA courses of the university through the years." 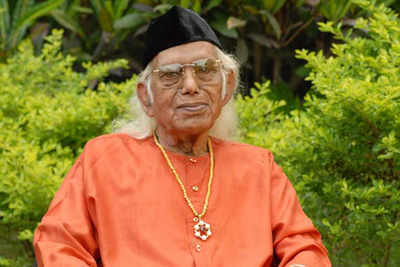 Vishnu Digambar Paluskar belonged to the fraternity of Haridasa-s, but he would likely have not turned to music seriously except for an accident which affected his eyesight adversely. But once he did, he worked at becoming an accomplished singer. In the event, what earned him undying fame was his missionary work to spread the glory of music and his contribution to the renaissance of Hindustani music. Despite heavy opposition to teaching music under institutional auspices, he established schools the graduates of which would, in his reckoning, at best become Tansens or at least kaansen-s, that is sensitive rasika-s. He spearheaded the movement to propagate Hindustani music. He established the Gandharva Mahavidyalaya, first in Lahore in 1901, and later in Bombay in 1908. In course of time, the pick of students he himself had trained established more centres under the same rubric and with the same missionary goals. His interest extended beyond classical music to devotional and patriotic songs; his aim was not merely a musical renaissance but a recovery of the spiritual and cultural heritage of the nation. Through personal example, he brought respect to the profession of music, even as he popularised the art. 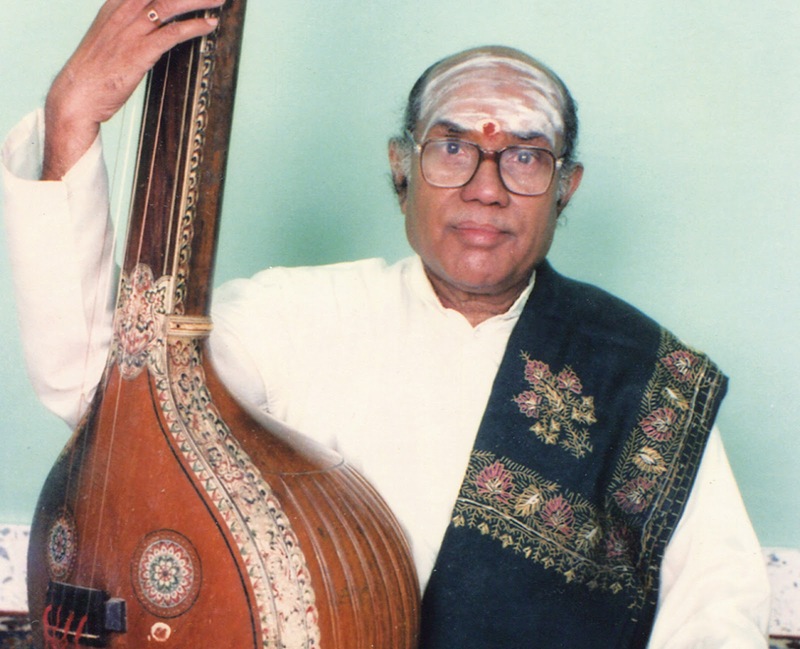 Kalpagam Swaminathan has been upholding traditional values in Carnatic music. 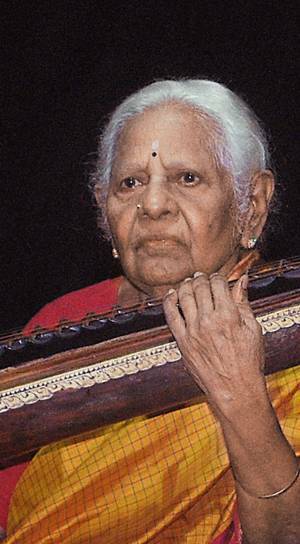 Born in Setalapathi village in Tanjavur in 1922, she belongs to a family of musicians. Her mother Abhayambal and grandmother Dharmambal were considered good singers of their times. Her mother, who was also well-versed in playing the veena and the harmonium, was her first veena teacher. 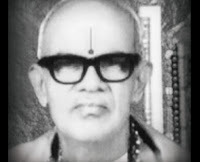 Other guru-s were A. Anantakrishna Iyer and T.L. Venkatarama Iyer from whom she acquired her enviable repertoire of Dikshitar kriti-s; and Budalur Krishnamurti Sastri, from whom she learnt several Tyagaraja kriti-s. 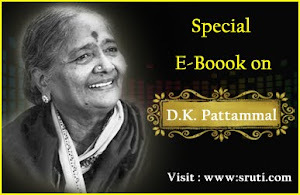 In 1947, Kalpagam Swaminathan joined the music faculty of the Kalakshetra's College of Music and Fine Arts where she served for six years.She joined Central College of Carnatic Music in Madras in 1964 as a veena teacher when Musiri Subrahmania Iyer was its Principal. After her retirement, she taught veena to students at Kala Peetham in Madras for a few years. 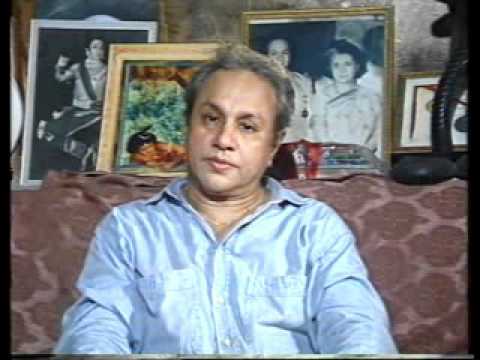 Kalpagam Swaminathan has been a regular performer on AIR and Doordarshan. The Music Academy in Madras has honoured her with a special certificate and the Tamil Nadu Eyal Isai Nataka Manram with the title of Kalaimamani in recognition of her services in the field of Carnatic music. Ustad Amir Khan was easily the single most influential Hindustani vocalist of the 20th century. He was a rare musician, whose music deeply influenced his contemporaries and, more than forty years after his demise, continues to shape the dominant tendencies in vocal, as well as instrumental music. An eclectic, who enriched his basic grooming with several other influences, he set standards of musicianship that have yet to be bettered. 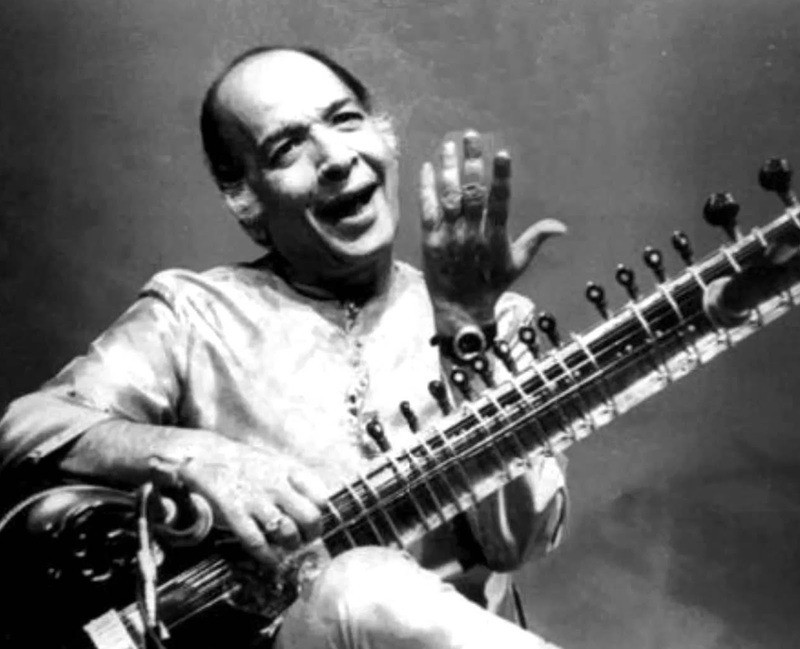 With no interest in accumulating audiences, wealth or rewards, he represented the essence of the Indian tradition,which regards music as a mystical pursuit, with spiritual evolution as its primary reward. He sang for himself and drew his listeners into a trance. 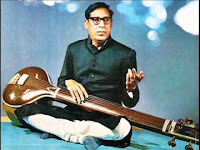 Amir Khan was born Amir Ali at Akole (Maharashtra) on 15 August 1912, and was brought up in Indore, where his father, Shahmir Khan served the princely court as a sarangi player. Young Amir Ali began his training in vocal music and the sarangi at an early age. His father once sought the documentation of the Merukhand discipline from a colleague at the Indore court, Ustad Nasruddin Dagar, for his son’s training. The Ustad refused on the grounds that such knowledge was not available to “the son of a mere sarangi player”. The remark stung Shahmir Khan, and he started coaching young Amir Ali in the Merukhand discipline on his own. The New York Times called him “one of the most influential south Indian musicians in the United States.” He was the third Sangita Kalanidhi in his family of extraordinary musicians and dancers, with his sister Balasaraswati the only dancer so far to have received what has come to be accepted as the highest accolade in Carnatic music. Number 13 is lucky for this lady. She was born on 13thAugust 1934. She performed her Bharata­-natyam arangetram on 13th April 1945 on Tamil New Year’s Day. It was also the date on which she signedher first film contract. Thirteen has been favourably associated with landmarks in Vyjayantimala’s life. “Although I was born in 1934, my elders entered it as 1933 in my school records, and so it has come to stay,” she tells you as she recalls the past. “I am proud of being a Tiruvallikeni girl. I was born on Adi Kritikai day in a house opposite the Parthasarathy Swamikoil in Triplicane. I came into this world moving my toes not on my head”, she chuckles. “You see, I was born with “dancing toes”. 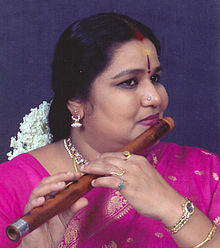 Vyjayantimala is one of the most versatile artists in the history of south Indian performing arts. A sprightly septuagenarian, she is a consummate Bharatanatyam artist who has aged gracefully and is a role model for young aspirants in every aspect of her art. She is an upholder of tradition, and its outspoken champion. Vyjayantimala’s life can be broadly divided into three interesting phases. A gifted child, she blossomed into a sparkling Bharatanatyam dancer. Her grandmother Yadugiri Devi moved heaven and earth to ensure that her dancing skills were honed to perfection. The next phase saw Vyjayantimala take the world of celluloid by storm. She reigned supreme for more than a decade acting with the top heroes in Tamil and Hindi films. (See article titled She brought lustre to the silver screen by V.A.K. Ranga Rao). She was invited to participate in national and international film festivals as a member of the jury, and won many national awards for her films. She created a furore when she refused to accept the award for best supporting actress in the film Devdas as she felt her role of Chandramukhi was on par with that of Paro played by Suchitra Sen. Her marriage to the debonair Dr. Chaman Lal Bali saw her bid goodbye to films, taking care of her family and immersing herself in the art of Bharatanatyam. She has no regrets on retiring from films when she was right at the top, and feels she continues to command respect and has a great fan following because she did so with dignity. This period saw her win national titles in golf. She was the first classical dancer to have contested and won a Lok Sabha seat for two consecutive terms in 1984 and 1989 representing the South Madras constituency. After a break of three years, she was nominated to the Rajya Sabha for her contribution to the field of fine arts. "[Murthy] makes an interesting picture on the stage. Being short, he has sometimes to overstretch his hands to play on the mridangam, which gives an impression of embracingthan playing the instrument. But his nimble fingers execute fascinating rhythmic ideas. His sense of anticipationis highly impressive. The figures aresprightly, clean cut, setting off a wide variety of sounds, and converting the whole into a tantalising structure of sound and rhythm. Naturally he has been a popular figure on the concert stage, desired, welcomed and appreciated by all musicians of consequence for nearly half a century." Shanta was born on 12 August 1943 into a well to do Indian family in Malaysia, her ancestors having migrated there from Kerala. A child prodigy, she showed enough promise even as a three-year-old for her parents to decide to send her to India for her education. She joined Kalakshetra in June 1952, when she was eight. After a brief period in Kerala, her parents wanted to send her to Shantiniketan, which was then a great center for the arts. With the encouragement of her uncle Achuta Menon, they sent her to Kalakshetra. Shanta earned her Post Graduate Diploma with distinction in Bharatanatyam and also learned Kathakali and Carnatic music. She was a prominent dancer in Kalakshetra’s productions from 1955 to1968, the year she left the institution. She was the first girl Dhananjayan was introduced to when he, a village boy, who knew nothing except Malayalam, arrived at Kalakshetra. Shanta was a serious girl totally devoted to her dance and she secretly made up her mind even at the age of 12 to partner Dhananjayan in life.